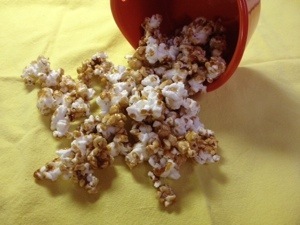 I found this recipe for caramel corn and was surprised by how easy it looked. You don’t need any fancy thermometer or expensive ingredients. All you need is popcorn, butter, brown sugar, corn syrup and salt…that’s all. I only made half of the caramel sauce since I like the popcorn to shine, through. And I used about 1 tablespoon less butter…just personal preference. As soon as it has cooled, box it up as gifts and give it to the neighbors, or you will want to eat all of it. Trust me, it’s that good. Posted in baking, Caramel, references, recipes. Bookmark the permalink. Homemade caramel sauce is a true comfort food when eaten from a spoon. Here is a clear guide to making your own from my baking addiction. It takes the mystery out of the whole process. I follow this awesome blog, and you should too. Posted in Caramel, references, recipes and tagged caramel sauce, comfort food. Bookmark the permalink. My wonderful sister brought me these treats from England. Here we have a caramel with a chocolate center. 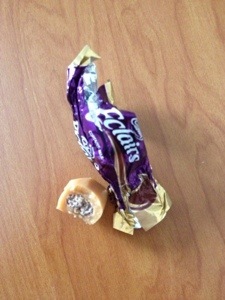 Each candy is wrapped in Cadbury purple and gold. 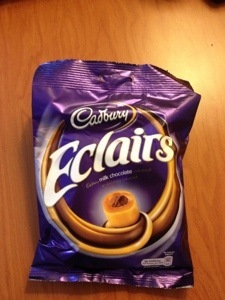 The caramel is pretty good, but the chocolate is too little. I was expecting more of that glorious Dairy Milk. I’ll still end up finishing off the bag, so you know that they are good, but they could be even better with a wee bit more chocolate. Posted in Caramel, chewy candy, Milk chocolate and tagged cadbury, chocolate center, dairy milk, dessert. Bookmark the permalink. Oh these are good. They are made in small batches in the big sky state of Montana, in the charming town of Bozeman. You have 10 flavors from which to choose. So far my favorites are the Celtic Sea Salt, and the Espresso. All flavors are Kosher and Gluten Free. It is no surprise that they have won numerous awards, and are shipped world-wide. Should you find yourself in a store that carries these gems, buy as many as you can. You can order them online here. 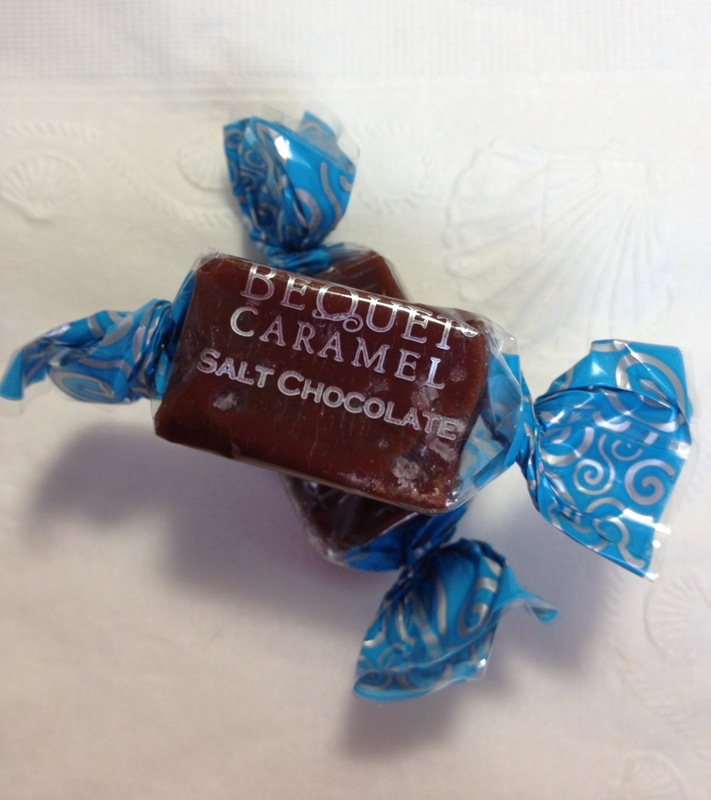 Posted in Caramel, chewy candy and tagged celtic sea salt, food, state of montana. Bookmark the permalink. Now that we are half-way through the first month of 2013, I figure that I should make some resolutions. All of mine are baking goals (oh sure, I have other goals, but they aren’t as much fun). This could be called a bucket list, but I really don’t care for that term, especially since once you complete the list, then what? Anyhow…here’s my list, and if you have a recipe suggestion for one of these, please let me know. 1. 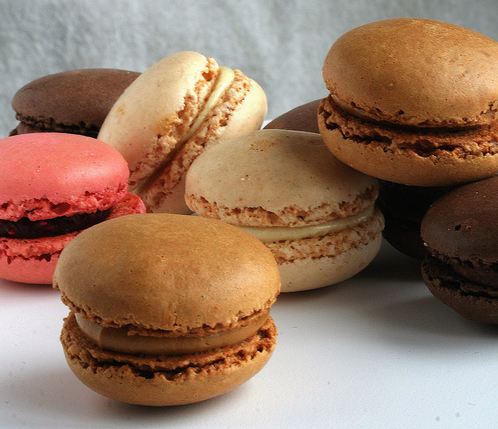 Macarons: oh, how I love these. A little crisp shell, then a soft chew, then the buttercream filling, oh yeah! They are the darling of the baking world with good reason. 2. 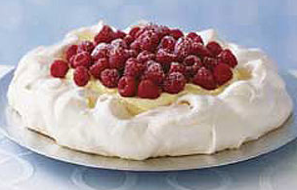 Pavlova: a fluffy cloud of meringue with pastry cream and fruit, I have always admired these from afar. 3. 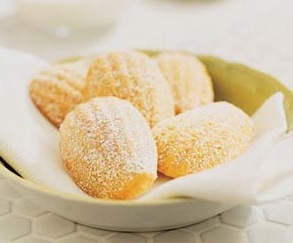 Madeleines: they are just lovely to look at, and even better to eat. A perfect pairing with tea. 4. 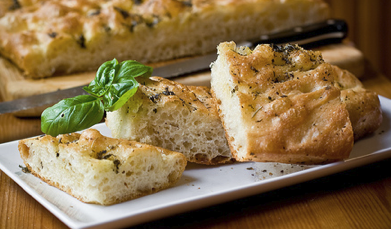 Focaccia: I mean a really good one with a chewy top and lots of air holes, simply seasoned with sea salt and rosemary, and basil. 5. 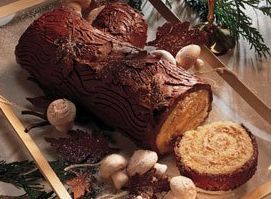 A yule log, or Buche de Noel for you Francophiles: complete with meringue mushrooms. A little retro and corny, but you know it’s good. 6. Homemade caramels: I have tried and tried and every version is too soft and greasy. 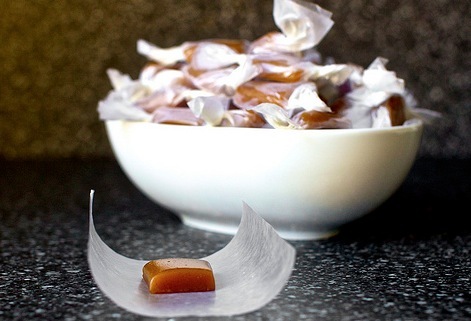 These apple cider caramels from Smitten Kitchen sound wonderful. 7. 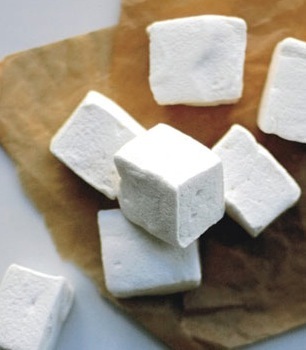 Marshmallows: They look easy enough, I don’t know why I can’t commit…. Again, if you have a favorite recipe for one of these, or have one that I should try, please drop me a line in the comments below. Posted in baking, Caramel, Marshmallow, Milk chocolate. Bookmark the permalink. The holidays may be over, but thankfully, the candy lives on here at the office. Posted in Caramel, chewy candy and tagged food, gourmet candy. Bookmark the permalink. 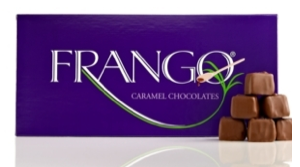 Frango is a brand first created by Frederick & Nelson department store, you now can find these at Macy’s. Imagine a day when department stores were glamorous places where families went to shop, and have lunch in a tea room. Women wore gloves, men tipped their hats, children were seen and not heard. Good Lord look what has happened to the shopping experience…malls crowded with the cast of “Jersey Shore” and Honey Boo Boo. Sad, so sad…. Anyway, back to the candy….here you have milk chocolate covering firm, yet chewy caramel.They are about 1/2″ square, each is in a tiny, pleated, paper cup. There are about 45 in a box. 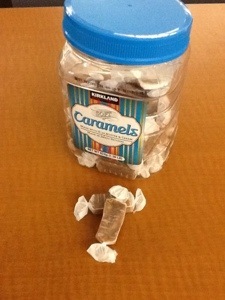 The caramel could use just a hint of vanilla, but overall, they’re pretty good. Posted in Caramel, Milk chocolate. Bookmark the permalink.